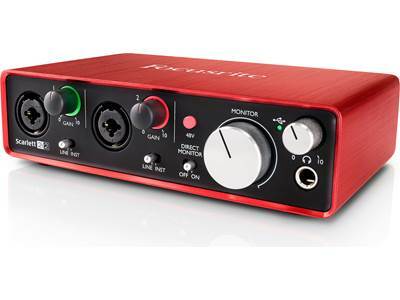 Focusrite's Scarlett Solo is designed to make recording music on your PC as simple as possible. 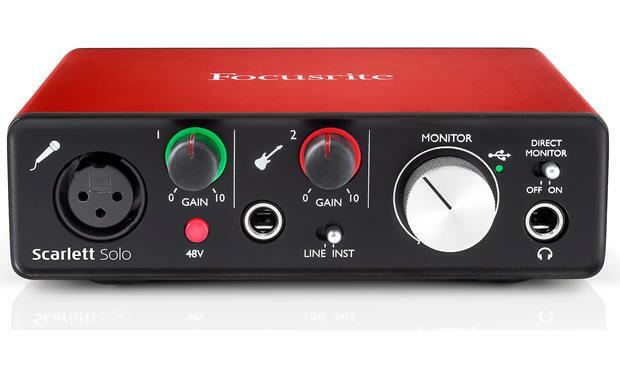 Focusrite's Scarlett Solo is designed to make recording music on your PC as simple as possible. 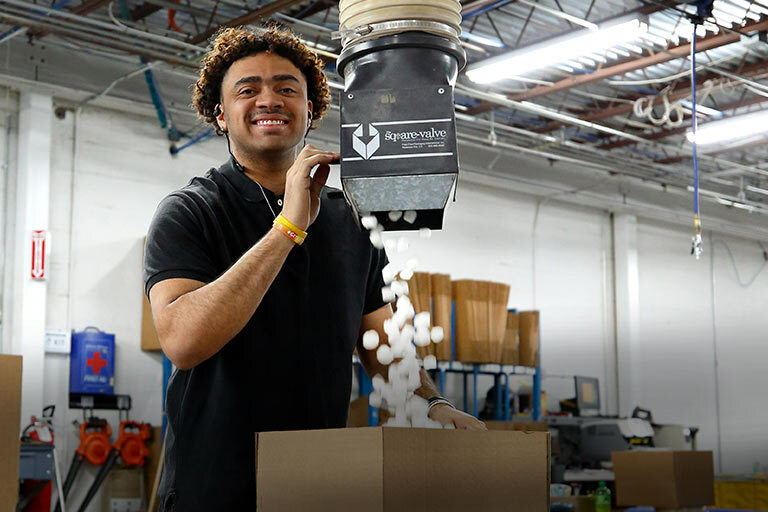 That doesn't mean it skimps on sound quality. Plug in a decent vocal microphone, and this interface's newly redesigned mic preamp can capture fine details in your recordings. A separate instrument input lets you plug in a guitar to strum chords while you sing. The interface is powered by your computer, and it's compact enough so you can bring it along with a laptop and record wherever and whenever inspiration strikes you. Even if you've never done home recording on your computer before, Focusrite includes helpful intuitive software to get you started quickly. This interface's super-low latency makes it easy to use software effects like vocal reverb or guitar amp simulation in real time. Or, select "Direct Monitor" on the front panel to hear dry input signals with zero latency while you're doing a take. The mic preamp in this second-generation Scarlett interface has more evenly distributed gain than the previous version. Plus, Focusrite has improved the headroom of the direct instrument input to cleanly capture stronger signals, like really high-output electric guitar pickups. One XLR input on the front panel accepts cables from dynamic or condenser microphones. The instrument input can accept line-level signals from keyboards or drum machines. When directly connecting of an electric guitar or bass, just switch the input into high-Z "instrument" mode. Select phantom power for the mic input using the front-panel 48-volt selector. Plug your favorite headphones into the Scarlett Solo — its headphone amplifier is powerful enough to drive just about any pair to high volume levels. Focusrite's Scarlett interfaces are designed to work flawlessly with all major DAW software, but if you're just getting started, you'll appreciate that this one comes bundled with Avid Pro Tools® First as well as Ableton Live Lite. You also get newly designed Focusrite Control software for intuitive control of your mixing and monitoring setups. The bundled software package also includes the Focusrite Red Plug-In Suite, Novation's Bass Station Virtual synthesizer, and 2GB of Loopmasters samples. Works really well. Very intuitive. My mac recognized it easily and garageband knew exactly what to do. It is very low latency as advertised and the sound quality is a huge step up from my previous usb mic setup. I've had zero problems with it and have been using it for the past 6 months. 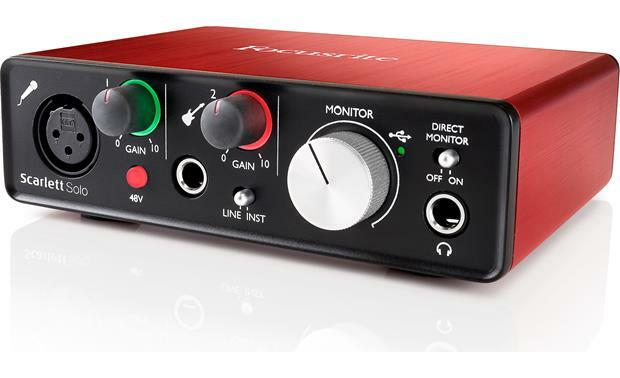 2nd Generation Overview: The Focusrite Scarlett line of USB audio interfaces is the best selling in the world. The second generation Scarlett products are still housed in a red anodized aluminum chassis, and feature upgrades to make your recordings sound even better. The new interfaces feature super-low latency to let you record and monitor your performance with software effects in real time. 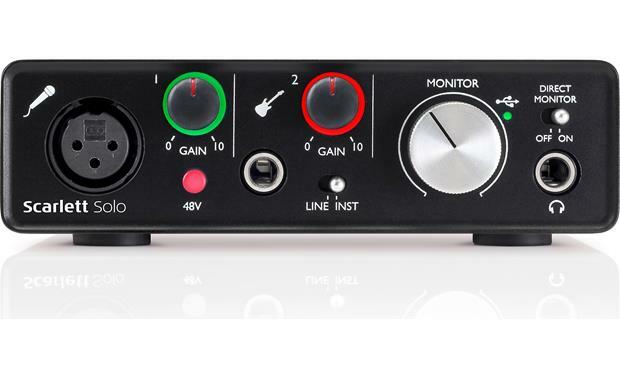 Scarlett 2nd Gen products have new metal volume controls, and now operate at sample rates of up to 192 kHz. The new Scarlett mic preamps have more gain structure to let you more accurately set your levels. At the same time, the redesigned instrument inputs have more head room to make it easier to record electric guitar without clipping. The new generation interfaces also have new analog protection circuitry across the inputs and outputs to guard against unwanted power surges. Scarlett Solo (2nd Gen): The Scarlett Solo (2nd gen) is a 2-in/2-out USB recording interface, which allows you to record audio onto a Windows or Macintosh computer. The Scarlett Solo is recommended for soloists and singer/songwriters. It has 1 microphone input, 1 line/instrument input, 2 unbalanced RCA outputs, USB output, and a headphone output. 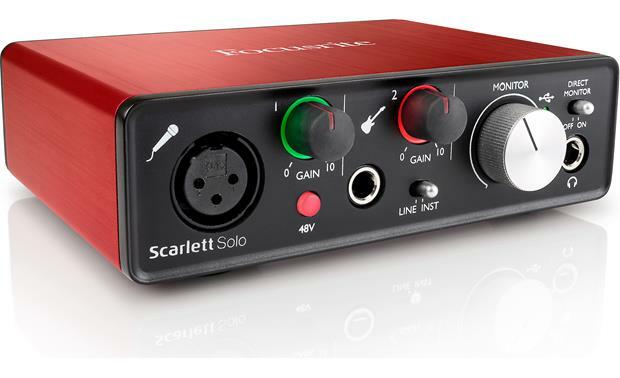 The Scarlett Solo comes with a USB cable and free software via download. Mic Preamp: The Scarlet Solo 2nd gen features one high-quality Focusrite mic preamp with an XLR connector. The rotary input level control has a unique gain "halo" indicator that changes color to let you know if you have a good signal (green) or clipping (red). The award-winning Focusrite microphone preamp features plenty of headroom and 48V phantom power when using a condenser microphone. Line/Instrument Input: You can connect a line-level or instrument-level source via an 1/4" plug. The Scarlett Solo (2nd gen) features a "Line/Inst" switch for selecting the type of device you have connected. Like the Mic input, the Line/Instrument input also has the "halo" gain indicator to help you determine the best level. The line/instrument input will accept balanced or unbalanced input. Direct Monitor: The Scarlett Solo (2nd gen) features a Direct Monitor switch on the front panel. This allows you to route the input signals directly to the headphones and main monitor outputs. Although the 2nd generation Scarlett interfaces have super low latency, you may still want to monitor yourself with zero latency, or in "real time." 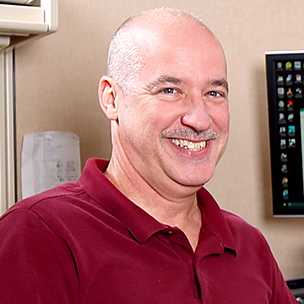 The input signal to your computer is not affected by the Direct Monitor switch setting. 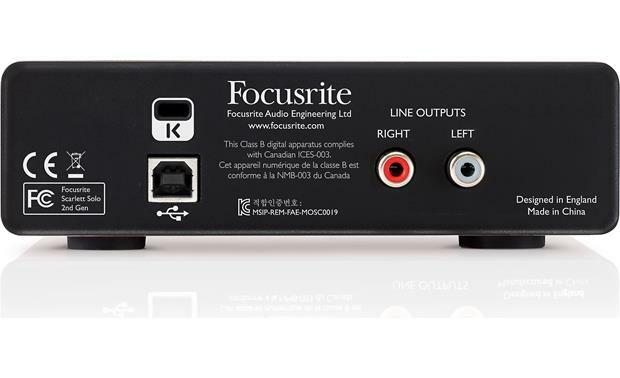 Headphone Output: 1 x 1/4"
Dimensions: Width 5.656", Height 1.756", Depth 4.512"
Searches related to the Focusrite Scarlett Solo (Second Generation) USB 2.0 audio interface for Mac® and PC.